I am an expat from Australia living in Amsterdam who enjoys all things crafty, especially making things with felt. For me, felt is the perfect material, it is so easy to use and so versatile, perfect for beginners and seamstresses. My other love is shopping and markets, I love nothing more than rummaging through markets and spotting a bargain or finding my own little treasure, and the bonus about moving overseas is there are so many new markets to discover. 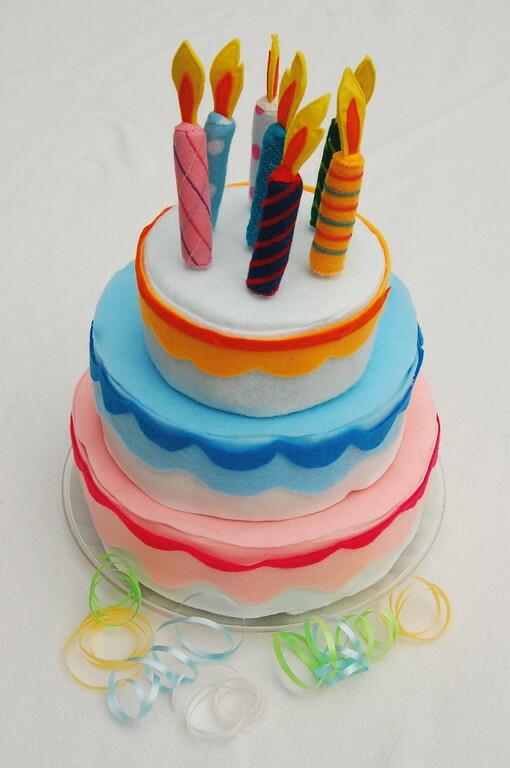 I was browsing some of my favourite sites today on the internet and found this great tutorial to make a dreamy felt cake with zero calories at ikat bag. I love that the decorations are all changeable depending on the occasion or your mood and that you can serve a single slice. I will definately be adding this to my someday project list. Uxbridge craft market is a weekly craft market held each Wednesday from 9am till 6pm and offers a range of collectibles, craft stalls and an artist group in residence, producing works for sale and whom are happy to stop for a chat or offer advice. This is a lovely little market to visit if you find yourself in the area with your mum or grandma, with plenty of places to have a cuppa afterwards. It is only a short 2 minute walk from the Uxbridge station.